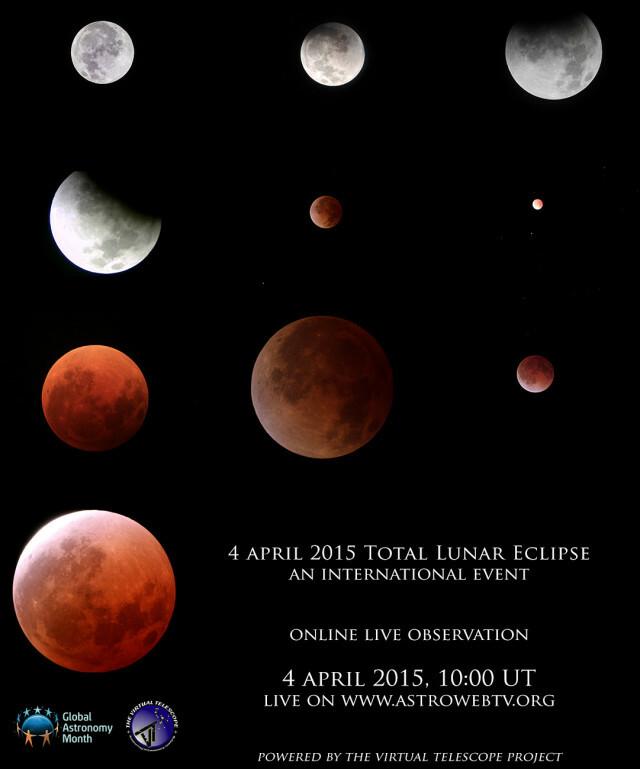 4 April 2015: Total Lunar Eclipse – live event, online! Next 4 April 2015, the Moon will offer an amazing total eclipse, well visible from the Americas, Australia and Asia. The Virtual Telescope Project was asked by many people to plan something, also because April is Global Astronomy Month, so we will do it again: an international team will cover this marvelous event and we will share it live, wherever you are on this planet. Join us on April 4, starting at 10:00 Universal Time! You just need to access our online webTV, click here!